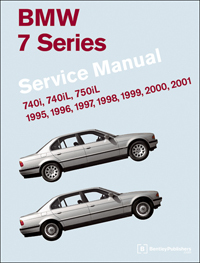 Though the do-it-yourself 7 Series owner will find this manual indispensable as a source of detailed maintenance and repair information, the owner who has no intention of working on his or her car will find that reading and owning this manual will make it possible to discuss repairs more intelligently with a professional technician. Maintenance procedures from replacing the fresh air and recirculation microfilters to changing the ATF. This manual tells you what to do and how and when to do it. 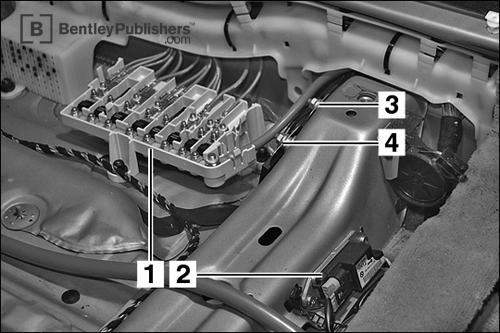 Step-by-step engine timing chain service. Cylinder head cover and crankshaft seal replacement. Fuel injection and ignition system diagrams and explanations, including five different Bosch Motronic engine management systems. Suspension repair procedures, including stabilizer bar link, control arm and axle boot replacement. Brakes, steering and ABS maintenance, troubleshooting, and repair. Body, hood and sunroof repairs and adjustments. Wiring schematics for selected models, including power distribution and grounds. Comprehensive BMW factory tolerances, wear limits, adjustments and tightening torques. 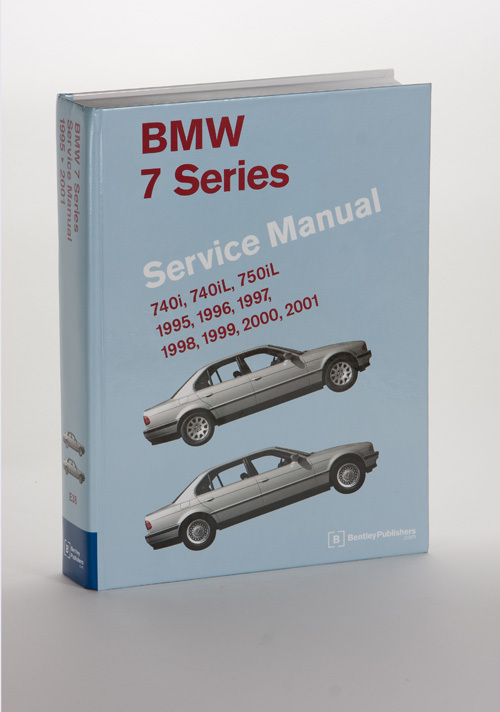 For additional technical content for the BMW 7 series from model years 1995 through 2001, visit our online technical library by clicking below. Locations of hundreds of electrical components: Fuse panel under passenger seat. 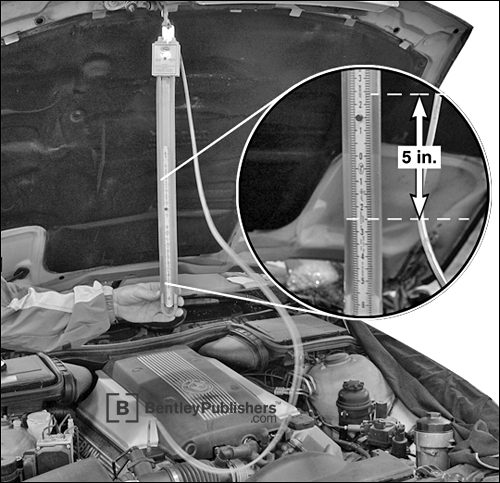 Use slack-tube manometer to diagnose defective crankcase breather valve.